Stunning detached Villa set in a unique location, boasting magnificent sea views. 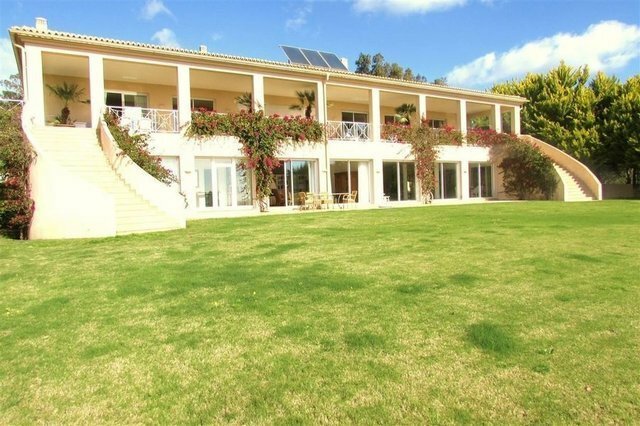 Villa with excellent conditions located in Meia Praia in Lagos which provides a high comfort level with a magnificent location, with great outdoor space with pleasant area surrounded by green areas and leisure garden always with a Panoramic sea view. The living area comprises of entrance hall, four living and dining rooms, four kitchens, two suites, six bedrooms, five bathrooms, terraces, garage and outdoor parking facilities. Villa with heated indoor pool, sauna, gym and locker rooms.